Traditional French Farmhouse Located In Peaceful Country Surroundings, Nr Dinan, France. Great Access To The Beach, 5 Bedrooms, Sleeps 10. 2 bedroom Saint Connan Holiday Cottage rental in Brittany, Nr Guingamp, France. 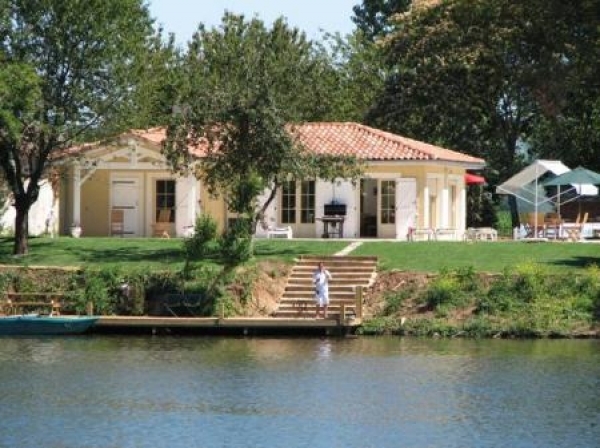 Trouts Leap is a beautiful 2 bedroom cottage rental can sleep up to 4 guests and is situated on lake l`Etang Neuf. Self Catering Villa to rent in Pleumeur Bodou, Brittany, France. The Villa has a contemporary style ideally located just 5 mins drive from the sandy beaches, the marina, and the main shops. 4 Bedroom Self Catering Holiday Farmhouse to rent, Trebeurden, Brittany, France. Sleeps 8. Close To Beaches. South facing terrace. Self catering House in Pleherel Plage, Frehel, Cotes D`Armor, Brittany, France. Peaceful Safe Location, With A 2 Min Stroll To The Beach. 30 mins from Dinard, Dinan and St Malo. Charming and fully renovated self catering Holiday Home for Rental in Saint-Quay-Portrieux, Brittany, France. The property comprises 4 Bedrooms, Sleeps 7. Very close to the Sea. 2 bedroom Holiday Cottage In Pommerit Le Vicomte, Cotes-d`Armor, France. Woodstock Cottage one of two cottages set in a recently converted 18th Century Barn. The cottage sleeps 4 people. 2 bedroom,holiday rental Cottage which sleeps 8 with private swimming pool, gardens and a BBQ area. Great for Family and group of friends looking to relax. Sea View Holiday Villa situated on the tip of Saint-Jacut-de-la-Mer, 15 km from Saint Malo. This 300 m²villa enjoys lovely views and comprises 7 bedrooms, 2 bathrooms and a shower room. Self Catering Brittany holiday home to rent in Pordic, France. Beautiful Brittany cottage rental situated in a relaxing and warm climate on Goëlo Coast. The house is 1.5 km from the beach. Internet. 3 bedroom Brittany cottage rental Nr Guingamp, Cotes d`Armor, France. Grebes Landing is a picturesque 3 bedroom lakeside stone cottage sleeping 8 guests and situated close to all amenities. WIFI. 3 Star Holiday Cottage In Lezardrieux, Cotes d`Armor, Brittany, France. Perfectly situated in the countryside, in the heart of the wild peninsula Lezardrieux near Paimpol and the Pink Granite Coast. A beautiful house facing the sea, with a full sea view a little piece of heaven. Only 5km from the airport and train station of Lannion. Close to amenities and ideal for familes, a perfect retreat. Le Manoir du Bourg is a stunning 16th century property of three houses set around a courtyard within an enclosed private garden with a secure heated swimming pool. Le Puits Sleeps 6. 3 Bedrooms. Self Catering holiday house with Pool to rent in Plouaret, Brittany, France. Kervegan Bihan is a former farm that has been converted into four separate homes and is situated in about 1.25 acres. Very quiet area, close to several beaches, near Paimpol (11 kms) and Brehat (14 kms). All recreational sea sailing club for all ages. 2 bedroom gite rental Brittany, Cotes-d`Armor, Brusvily. La Mere Canard is a beautiful holiday gite rental that sleeps 8 and is situated in a tranquil setting 10 minutes from picturesque Dinan.